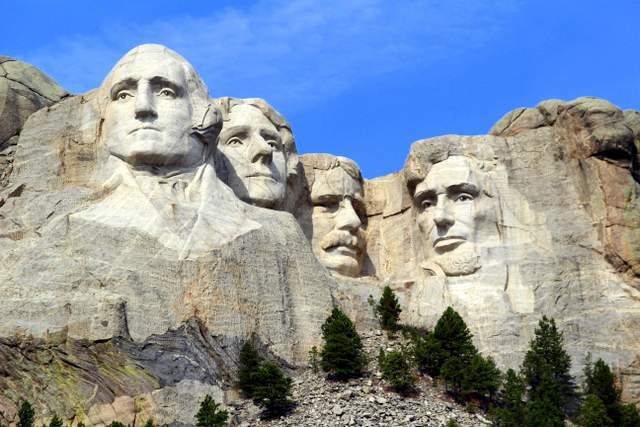 US West Coast Holidays Bus Tour – Salt Lake City, Jackson, Wyoming, the Tetons, Yellowstone National Park, Devil’s Tower, Crazy Horse Memorial, Mount Rushmore and more! 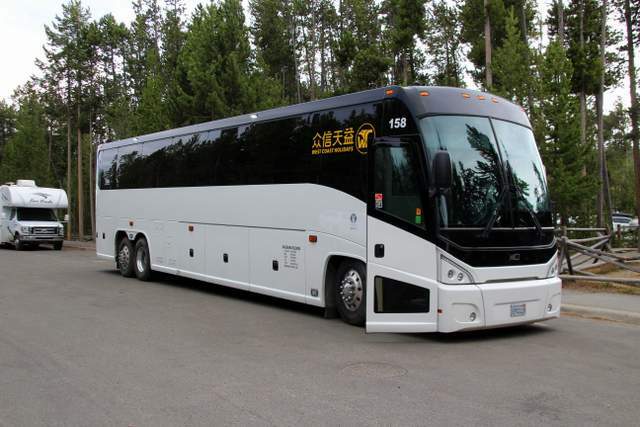 We booked a fun-filled US West Coast Holidays Bus Tour of Salt Lake City, Jackson, Wyoming, Grand Teton National Park, Yellowstone National Park, Devil’s Tower, Crazy Horse Memorial, Mount Rushmore and more through their agent TakeTours.com. Other than bus excursions at cruise ship destinations, we had never tried a bus tour. We found our 5 day US West Coast Holidays Bus Tour to be enjoyable in every way. Day one began with everyone's arrival at the Ramada Salt Lake City Airport hotel. We enjoyed dinner at a Perkins just around the corner. After dinner, we bought cookies for travel snacks and muffins for breakfasts. On day two, our bus tour adventure began at 6 a.m. Our guide, Alan greeted each passenger and assigned seats. The bus driver collected and stored our luggage. Within minutes, we were on our way. The first leg of our journey was two hours. The plan is to stop for bathroom breaks every two to two and a half hours. There is a toilet on the bus, but we were asked to only use it for an emergency so there wouldn’t be an odor for people seated near. After a twenty minute bathroom and snack break, we were back on the road. Alan told us that we would pass through parts of Utah, Idaho, Wyoming and Montana today! We arrived in Jackson, Wyoming and were given one hour and fifteen minutes to sightsee. After a brief stop in the Welcome Center restroom, we walked the streets of this delightful tourist town with an Old West feel. The city park at the center of town has huge arches on each corner. 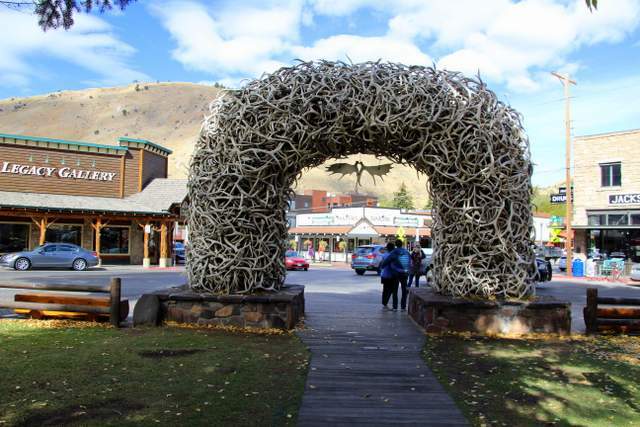 The arches are made of elk antlers. We grabbed a bite to eat at a small grocery store and sat at a picnic table enjoying the mountain views. 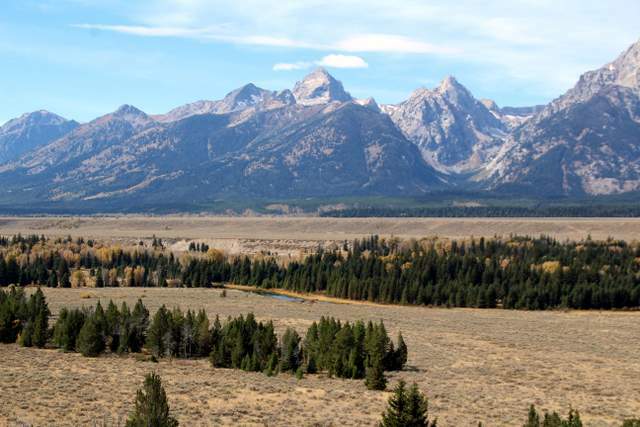 After boarding the bus, we passed stunning scenery to the Grand Teton National Park. People were holding their cameras to the bus windows to take photos of scenery as we drove. We made a photo stop along the way to photograph the beautiful Tetons. Next, we entered into the absolutely gorgeous Yellowstone National Park. We arrived within 2 minutes of the Old Faithful geyser erupting. It was perfect timing! We left Old Faithful to visit guide Alan’s favorite - Midway Geyser Basin featuring Excelsior: the world's largest geyser and Grand Prismatic: the world's largest hot spring. We spent forty minutes on the elevated boardwalk running through the springs as steam rose high all around us. It was sometimes so thick that we couldn't see the person beside us. The red, orange and blue colors under the crystal clear water and rising, swirling steam are beautiful. Our final sightseeing stop of the first day was the Norris Geyser Basin. 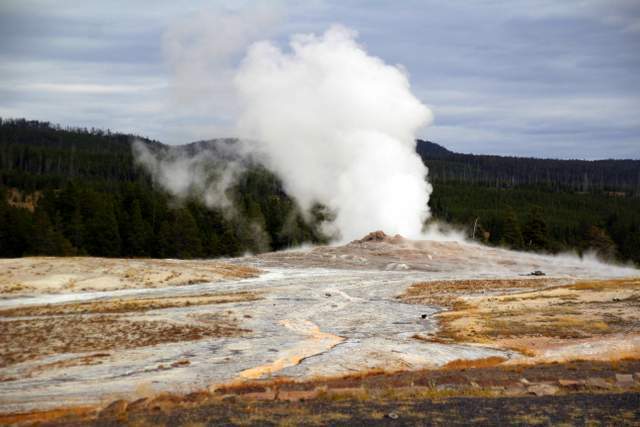 It is the park’s “most dynamic” geyser basin. 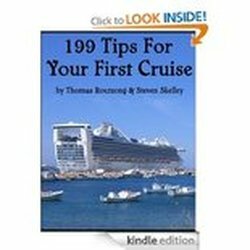 It includes the world's tallest geyser - Steamboat. On the ride to our hotel in Gardner, we saw buffalo and elk. Our second day ended when we checked in to the Yellowstone Big Rock Inn in Gardner, Montana. It is an attractive, three story lodging with large, comfortable rooms and modern amenities. We walked across the street for dinner where a local restaurant offered one half pound buffalo or angus burgers. Day three of our tour began at 7 a.m.
and the Buffalo Bill Dam. Dragon's Breath at Mud Volcano was one of our favorites. The hot steam shooting out of the cave makes a growling noise like a dragon might. Driving through the mountains in Wyoming, we saw a lot of snow too. For lunch, we stopped in Cody, Wyoming and had a buffet lunch at a Chinese restaurant. Lunch, drink and tip were a special rate of $15 each. Around 6:30 pm, we arrived in Gillette, Wyoming where we were given large rooms at the Best Western hotel. The hotel restaurant was serving a Seafood Buffet with crab that evening which was obviously very popular with locals. Day four began at 6 a.m. with a private, complimentary breakfast for our group. Breakfast included eggs, fried potatoes, biscuits with gravy, oatmeal, coffee and juice. We spent about forty-five minutes photographing the natural tower and exploring the gift shop. 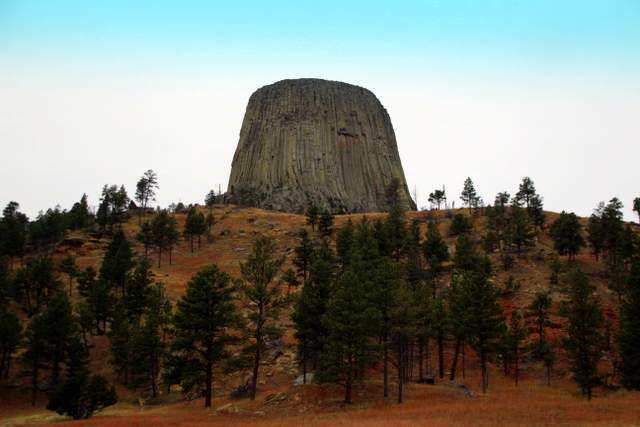 Native Americans named it “Bear Tower” but white colonizers renamed it. From Devil's Tower, we rode to Mount Rushmore to view the massive carvings of four American presidents. We were given an hour and a half to sightsee, purchase lunch on-site and souvenir shop. After Mount Rushmore, it was about a twenty minute drive to the Crazy Horse Memorial. We had an hour to view the.sculpture, a film and the museum. Sculptor Korczak Ziolkowski, his wife and ten children (and now grandchildren) devoted their lives to creating the largest sculpture in the world. 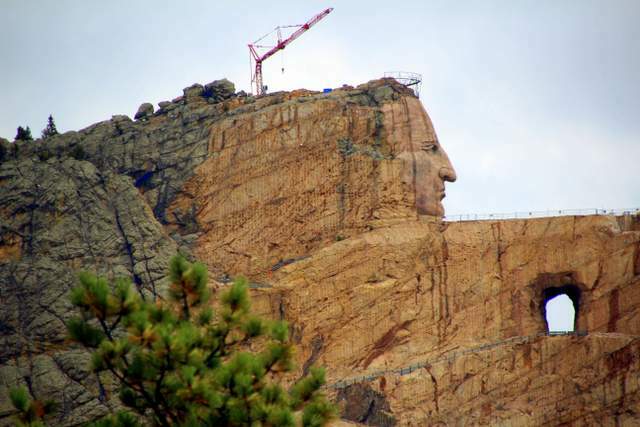 It is meant to honor the Native American people in their sacred Black Hills. They have admirably refused over ten million dollars in U.S. government aid because they don't want to deal with the white government's bureaucracy. Leaving Crazy Horse Memorial, we drove two hours to a rest stop and another two and a half hours to our hotel – the Ramada Inn Casper, Wyoming which features an indoor swimming pool and hot tub. There were abundant dinner options within walking distance. We chose a nearby Mexican restaurant. Day five began at 5:30 a.m. with a complimentary breakfast and bus boarding at 6:00 a.m. After two restroom breaks and a stop for lunch, we arrived at the Utah Olympic Park. The site of the 2002 Winter Olympics is now a museum and training center. We toured the grounds and museum and took a photo in a bobsled. Leaving the Utah Olympic Park, it was a short ride into Salt Lake City where we visited The Great Salt Lake, Temple Square and the Utah State Capitol Building. The Utah State Capitol Building is gigantic! 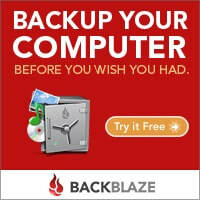 Its neoclassical style is a perfect fit for its impressive size. Temple Square is the Temple Square is a complex, owned by The Church of Jesus Christ of Latter-Day Saints (the Mormons). Temple Square includes the Salt Lake Temple, Salt Lake Tabernacle, Salt Lake Assembly Hall and more. The grounds and landscaping are beautiful with flowers everywhere. 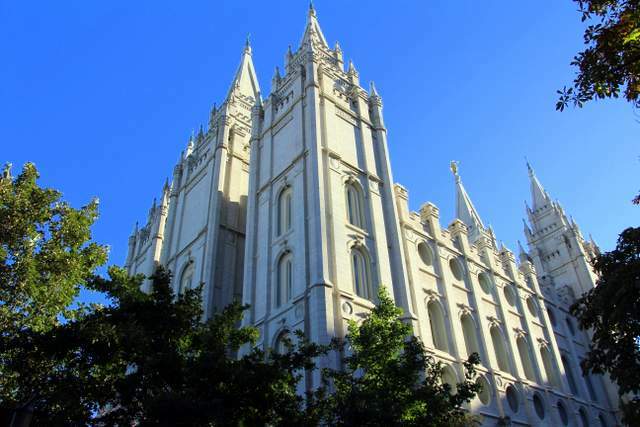 We enjoyed strolling the streets of Salt Lake City and the sidewalks of Temple Square. Everyone we passed as we walked smiled at us and said hello! This may be the friendliest city we’ve ever visited. Bus tours like this are a great way to see a lot of sites in a short amount of time. We covered over 1750 miles in five days while getting a taste of Salt Lake City, Jackson, Wyoming, Grand Teton National Park, Yellowstone National Park, Devil’s Tower, Crazy Horse Memorial, Mount Rushmore and more. Our tour included thirty Chinese tourists, two Asians immigrants from California and us: two Caucasian Americans. It was wonderful! Everyone was smiling, laughing, and opening doors for each other. The Chinese often motioned for us to join their tables at meals and they loved trying out their English with us. We met a friendly retired Chinese teacher named Wai Chun and had breakfast with our new friends Mai and Ito. Our US West Coast Holidays Bus Tour of Salt Lake City, Jackson, Wyoming, Grand Teton National Park, Yellowstone National Park, Devil’s Tower, Crazy Horse Memorial, Mount Rushmore and more was everything we could have asked for. We thank Shawn Stinson and Visit Salt Lake for all their advice and assistance. Gay travelers should visit LGBTQ Friendly Salt Lake for more travel information.